Just when you thought LeBron and Lakers made a splash and shook up the sports world on Sunday, here come DeMarcus Cousins and the Warriors. The Golden State Warriors have entered the NBA offseason by making a huge splash. 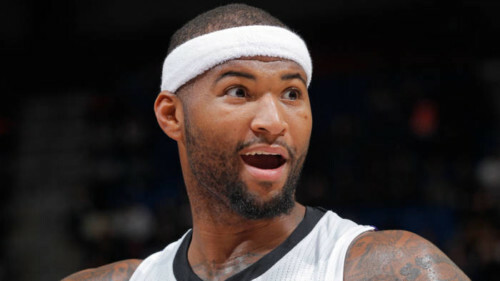 The Warriors and all-star center DeMarcus Cousins have agreed to a 1 year deal worth about $5.3 million dollars. DeMarcus Cousins is currently rehabbing from a tough Achilles injury and he isn’t expected to join the Warriors line up until the end of January 2019. In 48 games last season with the Pelicans, Cousins averaged 25 points and 13 rebounds. With all the offseason moves the Los Angeles Lakers are making in the west, this will certainly spice things up a little bit. Follow @eldorado2452 on Twitter and Instagram for all your sports news.